Pancakes, just about everyone loves them! Sweet or savoury they can be whipped up in next to no time, especially if you have the right equipment. 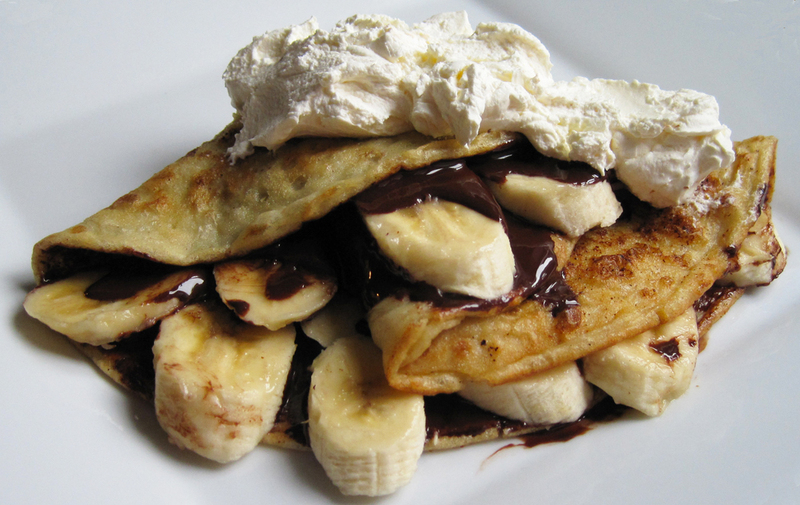 Click here for my recipe for Perfect Pancake Batter then all you need to do is add melted chocolate, sliced banana and, if you fancy, a dollop of whipped cream. Having been sent an OXO Good Grips Pancake Kit to try, I found all three items are brilliant for doing the job. Has a non-slip base that grips to the work top perfectly. Perfect for chilling and marinating, the Stainless Steel Mixing Bowl has an attractive, brushed stainless steel interior that retains temperature and a white plastic exterior that shields your hands from extreme temperatures. Easy cleaning either by hand in hot soapy water or in the dishwasher. The 2.8L size is perfect for use with electric mixers too. Do I like this bowl? I don't like this bowl - I love it! It's not only practical but good looking too, I really like the brushed stainless steel interior and the white exterior makes it look classy. Heat resistant silicone (up to 600oF/315oC) and a teardrop shaped handle that fits comfortably in the palm of your hand. The soft handle won’t slip out of your hand, even when wet. Beating eggs, stirring batter, whip cream and stir sauces with ease. The Silicone will not discolour, warp or melt and is safe for non-stick, ceramic and metal cookware. How did I find the OXO Good Grips Whisk? 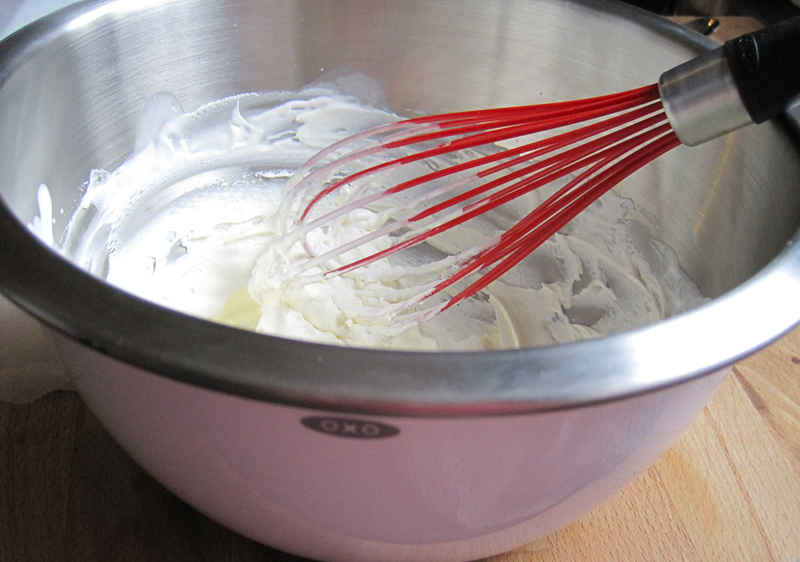 It has to be said this whisk made it so easy to whip cream too - normally I wouldn't have the patients and would have to get out the electric whisk! Since I only wanted a small amount of whipped cream for the two of us, I gave the whisk a go and will now use it time and time again. Combines the strength of stainless steel with the advantages of silicone. The silicone outer layer, which is heat resistant to 315ºC/600ºF and safe for non-stick cookware, is bonded to a flexible stainless steel core for added stability. Thin, flexible edges that glide easily beneath all foods and are perfect for flipping fragile foods while keeping them intact. The Pancake Turner is generous in size and easily flips pancakes, burgers and more. All Silicone Flexible Turners in the OXO Good Grips range have soft, comfortable, non-slip grips and are the perfect companions to non-stick cookware and bakeware. When it comes to turning your pancake this turner is great for doing the job although a I did find it a bit on the wide side for my regular sized pancakes. But hey ho, that's just a great excuse for making bigger pancakes next time! I love the handle and the flexibility. 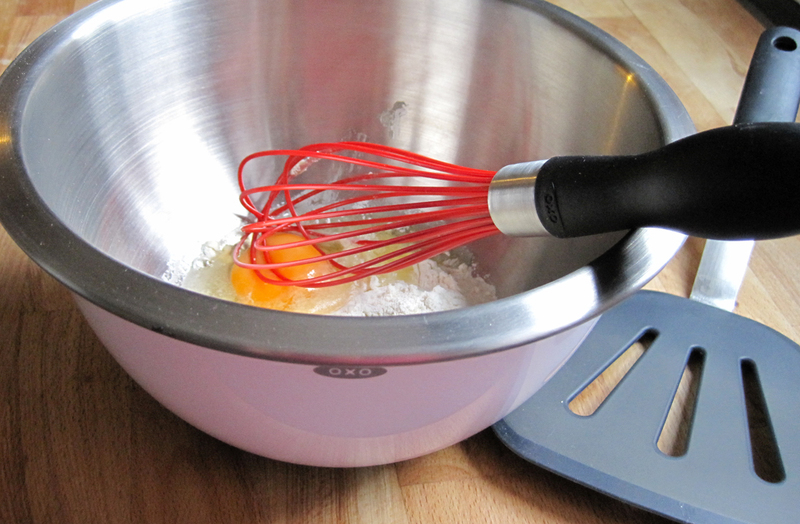 You can find out more about OXO Good Grips and their other brands over at the OXO website. OXO Good Grips sell a huge range of cleaning products too to keep your kitchen and house clean and shiny. Once again the handle is easy to grip and makes short work of cleaning any dirt, soap scum and grime from a variety of kitchen and bath surfaces. Stiff outer bristles for tackling the tough spots, and soft inner bristles that leave surfaces sparkling. The contoured handle helps to protect knuckles and has a soft, comfortable, non-slip grip to cushion hand while scrubbing. Thank you to Sarah and OXO for sending me these products to try. All opinions and thoughts are my own and I was not required to write a positive review. I only ever post reviews on products I like the look of and would buy myself.